In general, the planets are not that favorable for marriage until after October 30th. This is because Jupiter, the planet of marriage and wealth, is retrograde in the sign of Capricorn all year. This is not a lucky astrological omen for unions of any kind. It is especially recommended that Capricorns and all earth signs avoid getting married until Jupiter goes direct in November. One of the best times to ever marry during any year is when both the Sun and Venus, the planet of love are in Leo, which in 2009 happens on August 29th. This is a more than auspicious date that overrides the issue of Jupiter being retrograde in Capricorn and symbolizes a marriage that is marked by prosperity and good health. The idea is that a union made on this date is destined to expand. Another good time to marry is when Venus is in Libra. Venus is the ruler of that sign and it is the zodiac sign that symbolizes love. If you want to choose a wedding date where romantic feelings dominate, then go for October 14th 2009. If you want to have a big wedding with a lot of friends and family and with a big spread, then you want to choose a wedding dater where Venus is in Cancer. Cancer is the home of fine dining, sensuality, comfort, and luxury. The 21st and 22nd, when the sun is in Cancer is a good time to have wedding like this. Yet another good time is when Venus, the planet of love, is also in this sign. This year Venus is in Cancer on July 31st – the optimum day for a big wedding with lots of catering and fine champagne. If you want to elope or get away to have a small private wedding, the best time to do it is when Venus in Scorpio. Scorpio is the sign that loves secrecy and privacy. The best day to hold a wedding like this is November 7th, 2009. It is the day of choice to simply run away and escape with someone you love and also a prime day to start a forbidden affair with someone new. If you want to have a wedding that is the talk of the season, then consider holding it when Venus in Gemini. Gemini is a social climbing sign and any event held when Venus is in Gemini is likely to be a smash hit. It is also a good influence for holding a wedding that involves the guests do some traveling, for instance, traveling by air to the Caribbean. If you want the archetypal spring wedding, then the best time to hold it is while Venus, the planet of love, is in Taurus. This year, the love planet Venus enters Taurus on June 6, 2009. 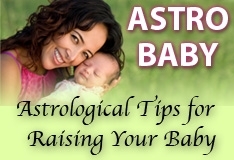 Taurus is a sign of plenty and fertility and this date is recommended if you want to have a union that bears many children for you in the future. 11/13/2009 How about best times to marry in YEAR 2010? It is now NOVEMBER 2009. thanks. I believe any day that a couple decides to marry on is the most special and momentus time of there lives. Me and my husband have been together for 7 in a half years and got married on January 20, 2009. This is the same day that ou first african american president was sworn into to office. Our marriage and union not only celebrates us but the change of history itself. We both agreed that this would be history in the making for everyone who has known us as well as the union for Barrack Obama into the White House to change our world and economy. Him and his wife have a love for the world just like me and my husband have for each other. For me love in a relationship is everlasting and the most importance about love is that it really doesn't matter what the date is........as long as you know where your heart is at. This is my experience, this my life and the the union of my love. Where was the page where i could put in a possible wedding date and get some info on it?